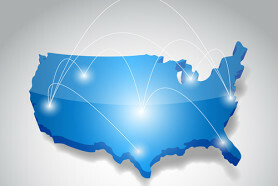 Here are the Internet Providers, plans and pricing available in Jackson, New Jersey. Bandwidth Place helps you find the best ISPs in Jackson, New Jersey, possibly including AT&T, Frontier, Verizon, Charter Spectrum, and more. We also test your Internet speed to ensure you get the bandwidth you paid for — both download and upload speeds. Use our site to shop for the top Internet deals in the area. It’s a breeze! Check out the listed Internet providers or give us a call at 800-990-0017 and we’ll help. Just call us at 800-990-0017 and we’ll show you the top Internet, TV, and phone providers in Jackson, NJ. Compare the different Internet plans and bundles and decide the best double play or triple play deal for your household. It’s really easy!